Established in November of 2007, Lotus Organics Day Spa & Wellness (formerly named Organic Skincare & Wellness with Lisa M. Roberds) is a small, privately owned and operated “wellness spa”, quietly nestled into a “Zen-fully” transformed office suite in Bloomington, Illinois. At Lotus Organics, clients may choose from a wide variety of organic and natural facial and body treatments, therapeutic massage, waxing, and various complimentary energetic healing therapies. All sessions are performed in a private location with soft lighting and ambient music, all adjusted to the client’s preference. Services are done using carefully researched U.S.A. made natural and organic products, as well as imported organic and natural products that you will not find at your typical department store or big-name spa. Because she truly wants more people to experience the “me time” they deserve, Lisa works hard to keep prices among the lowest in the area for the quality received. Please come in and take advantage of this loving space that has been prepared just for you! Lisa looks forward to meeting you and pampering you for years to come! At Lotus Organics Day Spa & Wellness, the mission is to provide natural care for the natural you. Lotus Organics strives to educate and help you as a valued client discover the health of your body the way nature intended: with treatments designed using only the purest of natural and organic products. The goal is to bring every client the most genuine care at the lowest prices possible. From the earth, to our hands, to your soul – come grow with Lotus Organics! 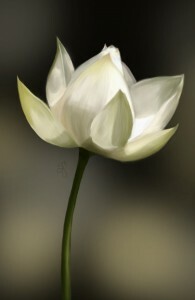 The Lotus flower has been regarded as a powerful symbol of growth and strength for centuries. It begins its life beneath the surface of the water, eventually growing up through the darkness and mud. The Lotus grows tall above the water with its strong stem, and its petals have special waterproof properties that protect it from the elements of the earth. At Lotus Organics Day Spa & Wellness, there is a soft spot for this meaningful symbolism of the Lotus flower, and it has been chosen as the basis of the beliefs and design of Lotus Organics. Like the Lotus, regardless of the darkness and muddy circumstances that life may bring, Beauty can always arise. With strength, courage, and self-nurturing, we – like the Lotus – can overcome obstacles and blossom into beautiful souls, without life weighing us down. Come grow with Lotus Organics Day Spa & Wellness! having overcome the world, live unsoiled by the world”. Click Here to Meet Our Therapist!